Lymphoproliferative neoplasms are mainly divided into 2 major categories: Hodgkin lymphoma (HL) with an annual incidence of ~2,5-3/100000 and non-Hodgkin lymphomas (NHL), which are approximately 7 to 8-fold more common. NHL constitute a heterogenous group of disorders: 85% are of B-cell and 15% of T-cell origin. Malignant lymphomas are currently classified according to the 2016 WHO classification scheme. Among NHL, diffuse large B-cell lymphomas (DLBCL) are the most common subtype (31% of the total), followed by follicular lymphomas (~25%), extranodal marginal (MALT) lymphomas (8%), mantle cell lymphoma (6%) and primary mediastinal large B-cell lymphoma (PMLBCL) (2-3%). Altogether, the common “nodal” T-cell lymphomas (peripheral T-cell NOS, angioimmunoblastic and anaplastic large cell lymphoma) comprise ~8% of the total cases of NHL. It should be noted that small lymphocytic lymphoma and B-chronic lymphocytic leukemia (B-CLL) are reported to account for ~10% of NHL cases. However, B-CLL is a separate entity with an annual incidence of 4,5-5,5/100000. In everyday practice, “clinical staging” according to the Ann Arbor or Lugano system is based on clinical examination, chest X-rays, whole-body CTs (except of brain) and bone marrow biopsy. MRI, US, brain imaging, bone scanning, GI endoscopy etc, are performed in the appropriate clinical setting. 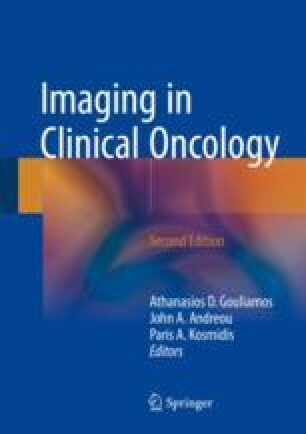 Recently, 18-fluoro-deoxy-glucose (18-FDG) positron emission tomography combined with CT (PET/CT) has been strongly recommended for staging and evaluation of response to therapy in various lymphoma subtypes, mainly HL and aggressive B-cell lymphomas, but also in all 18-FDG avid lymphoma subtypes sparing the need for most of the specific studies.